In my weekly vlog last week I issued the “get in your shop and make your girl something for Valentine’s Day” challenge. I wanted to do my part with a simple project I could complete in a day. 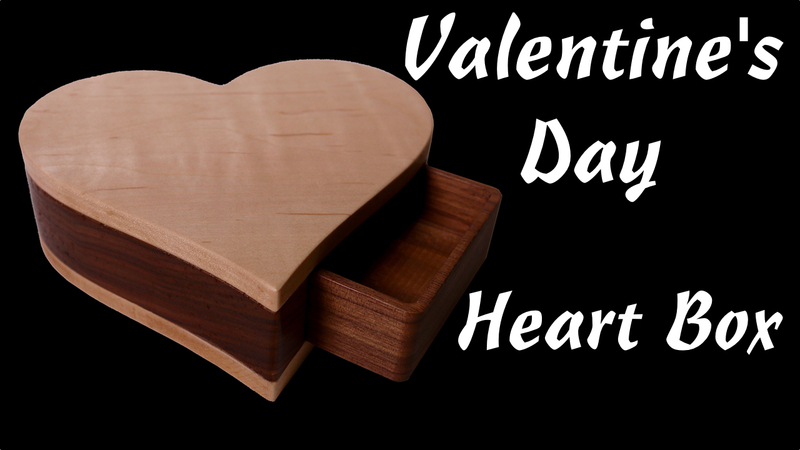 The parts for this heart shaped box were cut on my CNC Router Parts machine. The box has a drawer on the side that slides out to keep knick knacks in.